We believe that there are many trail running races today as a result of the growing interest in the sport all over the world. We know that the calendar is saturated with them, but we also firmly think that we need a stage race in the Pyrenees. For people from abroad, this race is a great opportunity to discover the Pyrenees and then spend a little holiday in Barcelona. The concept that we present is equivalent to the Transalpine-Run, but adapted to the needs of our region and what we can do in a project that is just starting. The Pyrenees Stage Run, a 7 stage race beginning in Ribes de Freser and finishing in Salardú with two stages in Andorra, offers the possibility to cross a section of the Pyrenees following the classic GR11 and going through places that you will never forget. In addition, we want all participants to be part of the adventure and each day we will have dinner altogether and organize an award ceremony of the day, a briefing of the next stage and a presentation of the photos and videos of the day. We will offer two accommodation options, one for the adventurous, at campsites (tent) or in sport halls, and another in comfortable hotels. The Key to the Kingdom of Happiness! Forget everything you know about trail and mountain races! Press the “reset” button inside your head and let’s go again from the beginning! 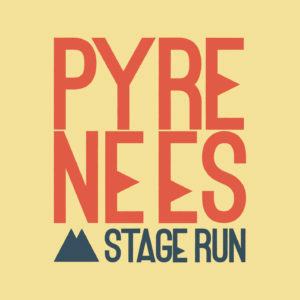 Pyrenees Stage Run! One year ago Ainhoa and me started talking about our aims and dreams in the mountains. We were competing and having fun either in local or worldwide races, but we wanted something else, another kind of mountain experience we won't never forget.